Are you worried you might be drinking a bit too much? Identifying your alcohol problem may be harder than you think. The signs and symptoms are not always obvious, so it pays to inform yourself. 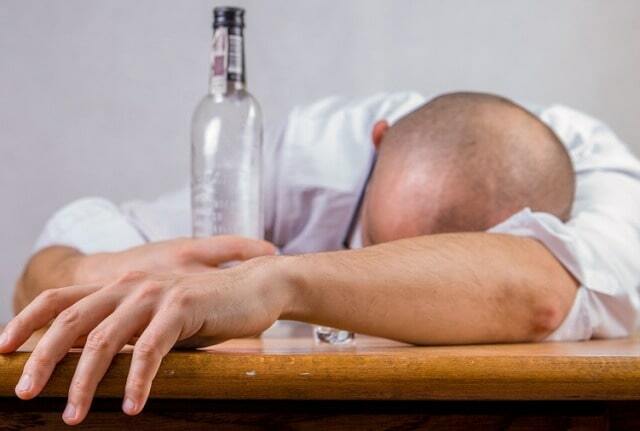 Read on to learn the 5 key signs of alcoholism to watch out for. Your first hint that you might have a drinking problem is when alcohol interferes with your normal life. If your personal and professional life takes a dip because you can’t control your urge to drink during the day, you should be worried. If you can’t control your cravings while at work, or while you know you will be driving your car soon, you might have a drinking problem. Consider how often you think of alcohol during the day. Most people only think of it in relation to their social activities. If you find yourself spending hours planning your next drink, you might be developing an alcohol addiction. Are you paying attention to what you eat? If your drinking and eating habits have taken a noticeable dip in the past few weeks, this might be a sign of alcohol abuse. Alcohol abuse will make you less hungry and will affect your nutrition. If you are skipping meals but never forget to drink that extra glass of red wine, you should sit down and start taking notes of what you eat during the day. If your nutrition is getting progressively worse, then you might have a drinking problem. Are you drinking more and more to get the same kick out of your booze? If yes, then you might be developing alcohol tolerance. Alcohol tolerance is the first step towards developing alcohol dependence, so you should cut back immediately if you notice you find yourself needing more and more alcohol. Alcohol interacts directly with our brain. If you find yourself experiencing sudden mood swings, or if your memory has become worse, you might have alcohol to blame. People who abuse alcohol tend to develop brain problems, with the most common issue being memory function issues. These include general forgetfulness, inability to remember places and names, and short-term memory problems. Finally, the biggest red flag of alcoholism is the inability to stop. Can you really stop drinking? Most people with alcohol problems think they do, but find themselves unable to quit when they try. The average person can go for weeks or even months without having a single drink. If you find the thought of quitting unbearable, it is best to seek help sooner rather than later. For holistic outpatient addiction healing and wellness, click here. If you or a loved one suffer from alcohol abuse, please contact one of alcohol abuse hotlines and seek help. We hope to have helped you identify whether or not you are having a drinking problem. The signs of alcoholism are not always obvious, but with these tips, you will be able to assess your situation and take action before it is too late. Check out more topics on health, fitness, food, sports, and saving money on our blog.